Forbes has named 27 Russian companies, including those hit by Western sanctions, among the world’s largest and most powerful in its Global 2000 annual list. 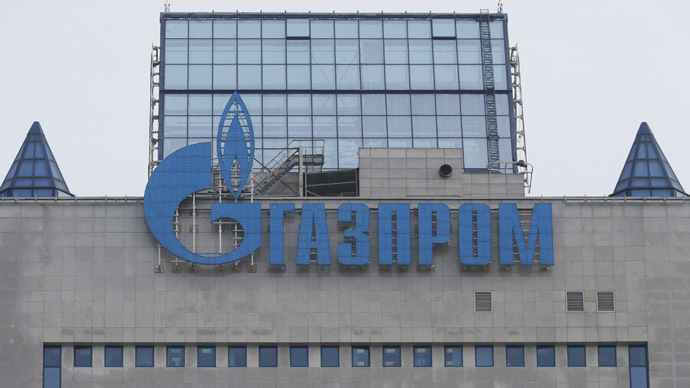 Energy giant Gazprom tops the list of Russia’s largest businesses, according to Forbes. The company is ranked 28th in the global rating with a market value of $62.5 billion. Also at the top of the list are two more energy companies, Rosneft (59) and Lukoil (109), and Russia’s biggest lender Sberbank (124). Russia’s energy firms - Gazprom, Rosneft, Lukoil, Transneft and Surgutneftegaz – have largely preserved their high ranking despite being sanctioned by the EU in September. These restrictions included a prohibition on providing services needed for deep sea, Arctic, and shale oil projects. Major Russian state-owned banks have been banned from receiving any long-term (over 30-day) loans from EU companies. Gazprom fell 6 spots on the list compared to its position last year. Despite these hardships, two Russian companies managed to make their debut in the Forbes rating this year - United Aircraft Corporation and Moscow Exchange (MOEX). The 2000 companies on the 2015 Forbes list hail from 61 countries and account for combined revenues of $39 trillion, profits of $3 trillion, with assets worth $162 trillion, and a market value of $48 trillion. Their total market volume rose 9 percent year-on-year. The US and China dominate the list, taking the top 10 spots for a second year in a row. Beyond the top 10, the US is the winner, occupying more than a quarter of all positions with 579 companies. China appears to be home to 232 of the world’s largest companies; its four biggest banks own the top four positions in the rating. China surpassed Japan, which is in third place with 218 companies, for the first time. The UK comes in fourth with 95 companies. France fell out of the top 5 countries, making way for South Korea. As for the continents, Asia with 691 companies is the leader, then comes North America (645) followed by Europe (486). In terms of industries, banks and diversified financial companies continued to top the list, occupying 434 spots, though that is 27 spots less than in 2014. They are followed by the oil and gas sector (136 spots) and the construction sector (121 spots).